A top aide to US President Donald Trump said Thursday that an emerging Palestinian unity government must recognise Israel and disarm Hamas, following a landmark reconciliation deal signed last week. “Any Palestinian government must unambiguously and explicitly commit to nonviolence, recognise the state of Israel, accept previous agreements and obligations between the parties -– including to disarm terrorists — and commit to peaceful negotiations,” Jason Greenblatt, Trump’s special representative for international negotiations, said in a statement. “If Hamas is to play any role in a Palestinian government, it must accept these basic requirements,” he added in the first detailed US response to last week’s Palestinian unity deal. The statement from Greenblatt was similar to the Israeli government’s response this week in which it vowed not to negotiate with a Palestinian unity government that includes Hamas unless the Islamist group agrees to a list of demands. The demands included recognising Israel and renouncing violence. Palestinian president Mahmud Abbas’s Fatah movement signed a reconciliation deal with Hamas in Cairo a week ago aimed at ending a bitter 10-year split. 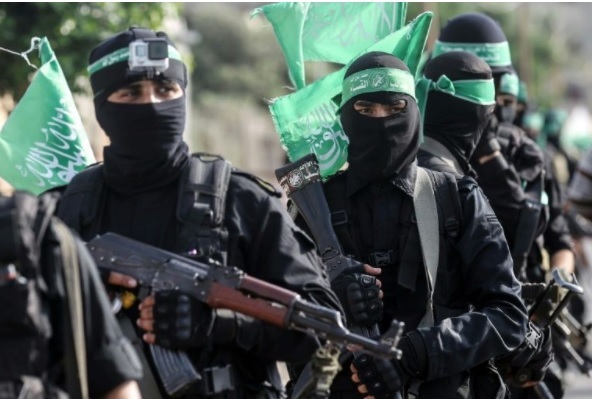 The Abbas-led Palestine Liberation Organisation has recognised Israel, but Hamas has not and is blacklisted as a terrorist organisation by the United States and the European Union. Hamas has run the Gaza Strip since seizing it in a near civil war with Fatah in 2007 following a dispute over elections won by the Islamist movement.